The SC-V model represents the most advanced inspection technology. It combines reliable detection of product impurities by means of the high performance X-ray scanner with additional optical control systems developed in-house at OCS. These control systems check the information as it appears on the products (ingredients, nutritional values, expiry date) for correctness and a flawless appearance regarding the proper positioning and readability of all labels and seals. 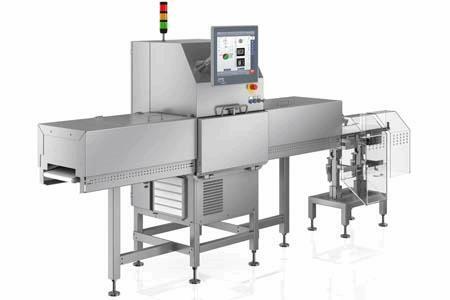 Both inspection units – X-ray system and optical control – are combined in one space-saving design.